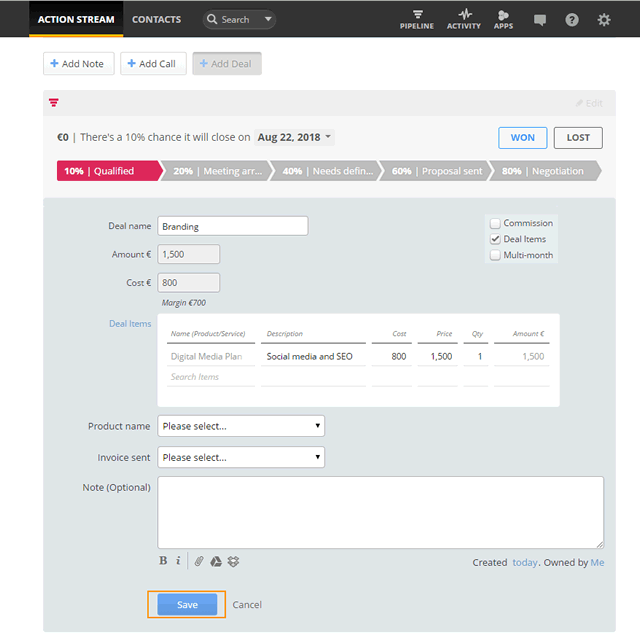 Deal Items lets you standardize and build deals faster, ideal for generating quotes. 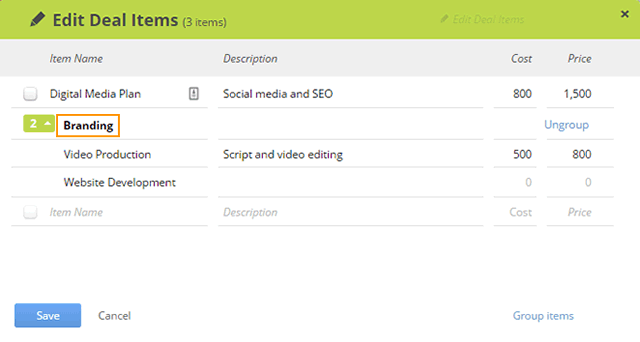 You can easily create a reusable list of your products and services along with a description, quantity and price. Open a contact → Add Deal → click the Deal Items check box. 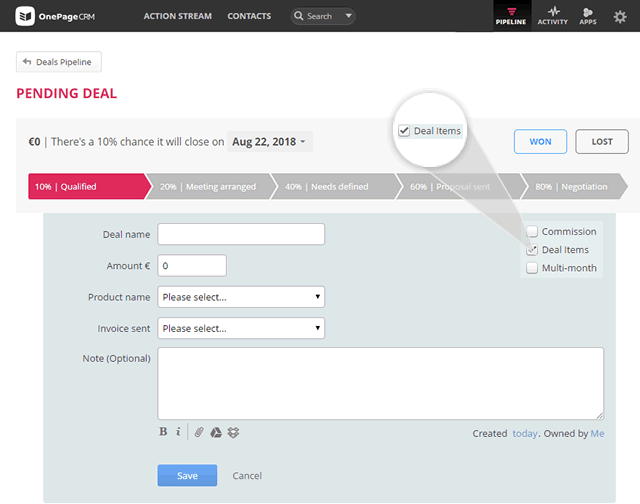 In the Deal Items box → add your deal item by typing your Deal Item in the Name field or click on Deal Items to the left and select from the list. Select the Deal Item from the list → click Insert. 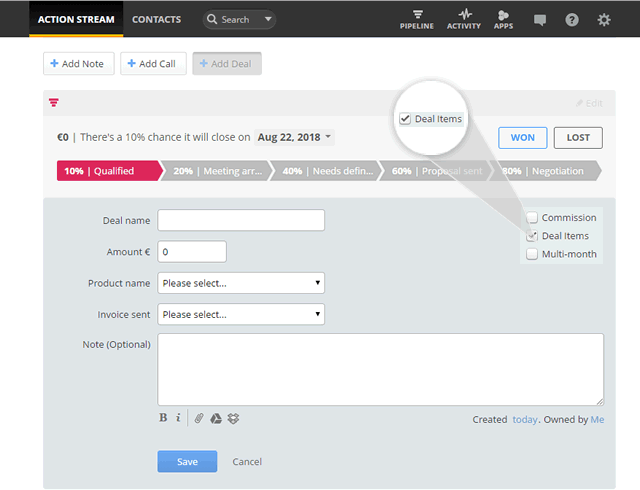 Go to Pipeline → Add Deal → click on the Deal Items check box. (Same as above) In the Deal Items box → add your deal item by typing your Deal Item in the Name field or click on Deal Items to the left and select from the list. From the Deal Items pop-up → click Edit Deal Items. In the Edit Deal Items pop up → add item details such as Name, Description and Price. Deal Items once created will be accessible to all users on an account. 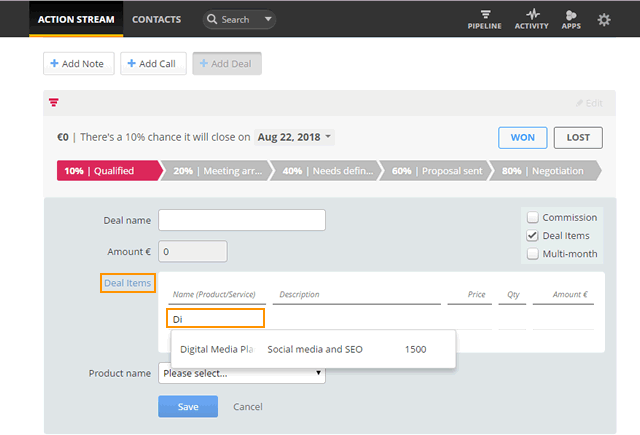 Account owners / admin can add / edit deal items from the Custom fields area. When exporting deals, Deal Items will be exported if associated with a deal. In order to show cost field data in your Deal Items, you must have the cost field enabled from your settings page. 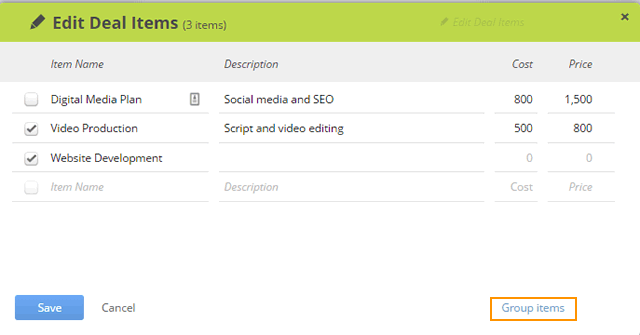 After inserting a Deal Item, you can update description, cost & price fields. Note: These changes will only apply to this deal. 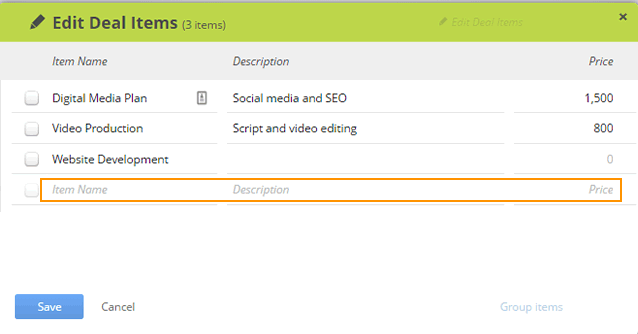 You cannot edit the deal item name or amount fields after inserting them into your deal.